I originally starting writing this post back in July when we first booked our holiday and yesterday was a officially the mark of our trip to DISNEYLAND PARIS to be TWO months away, yep. 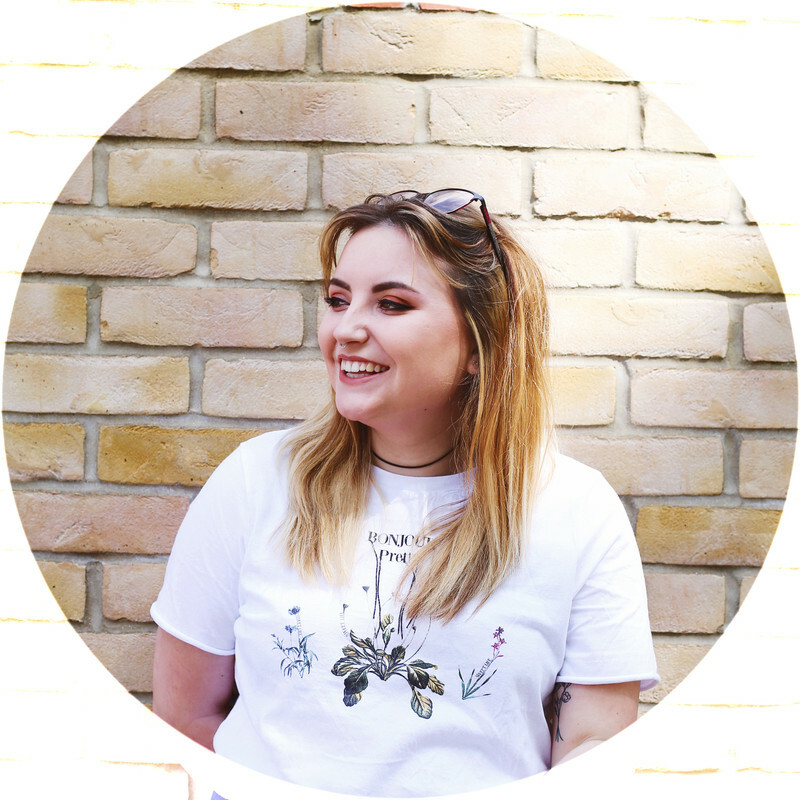 As you can tell I'm super excited, beyond that actually and to keep up the excitement and to also calm myself a little, for the next couple of weeks I'm going to be posting (as regular as possible) posts all to do with disney..which I hope you all love!? I just wanted to make this a short and sweet post sharing some bits I've found online. 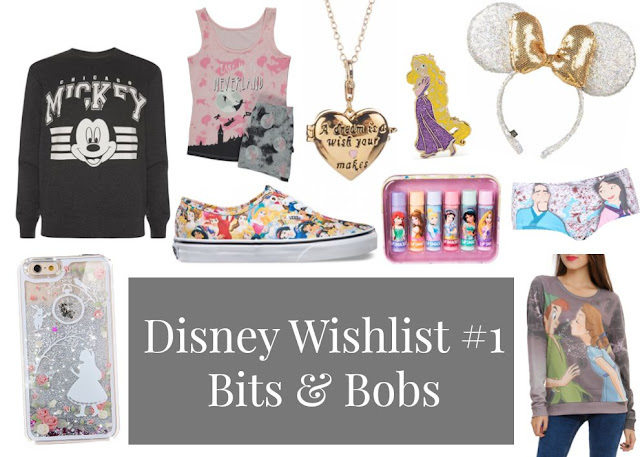 I've crawled through the internet to find what I found and it took me too many hours, I'm very sad that there isn't much disney clothing for adults. Well except for Primark but I don't love many of their disney items at the moment. I've called this the 'bits and bobs' wish-list as it's all the little pieces I want to purchase before I get away, I want as many warm clothes as possible and I just want all the cute things...underwear, jewellery and phone-case included. It's taken much strength to not click 'complete order' on all the various websites and I'm keeping fingers and toes crossed that I can afford to pick up the phone case, minnie ears headband & disney vans all before my holiday. But right now saving up for my Disneyland & Paris spending seems just that little bit more important. Hope you're all well & enjoying your day. Please leave me any comments & links to any Disney related pieces that I haven't included here. Aren't they adorable! I want to pick some up when I'm there but I also want some for when I arrive too!! I've wanted the locket for so long & the phone case is on it's way to me, eppp!! I'm so excited!! I'd love to pick them up before I go away!! I'm so jealous! I took my sister as a surprise for her 18th and it was so much fun! I wrote. A post but it was so long ago my blog posts weren't very informative! (It's here anyway imogenscribbles) my main tip would be to get fast track tickets. They are (or at least were when I was there) free, but you have to go to the machines by the rides & be allocated specific time slots. Organise around that if you want to get lots in! Also families don't tend to do this so you'll get a head start on them in queues! Orbitron is SO GOOD in the dark. It's pretty mediocre in the day but so amazing looking over the park at all the pretty lights whilst flying gently round on a ride. Also the sandwich shop in the bit before the actual Disney park (where the big World of Disney gift shop is) is probably the cheapest but decent place to get food. It's going to be amazing!! Oh I do hope so! I want to make an order with Hot Topic but I'm not sure how much it'll cost me and I need to save every penny to spend at DLP! I love the Disney princess vans. I picked up a pair of Jasmine ones when I was in Florida and I wear them almost every day. I adore the Peter Pan jumper, super cute for the winter!! I'd love to see some make-up looks with this on!